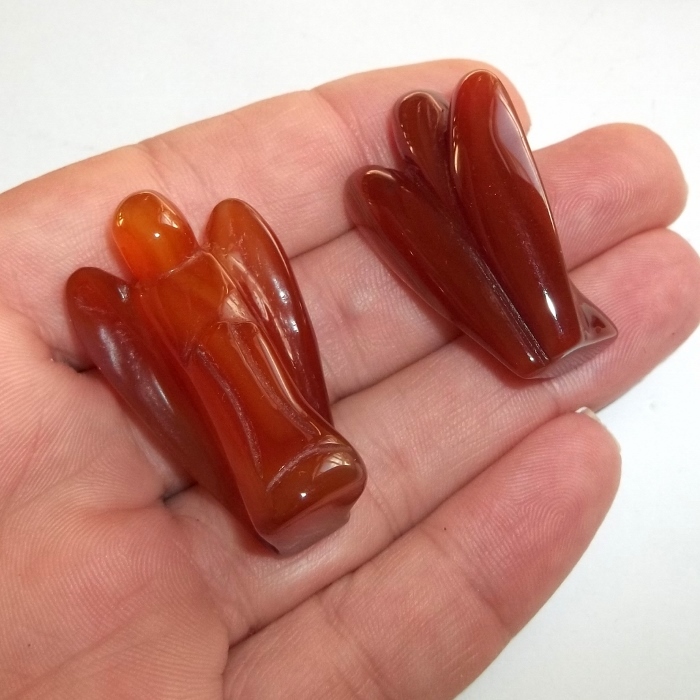 A polished orange carnelian gemstone pocket angel. Carnelian is a July birthstone associated with the sacral chakra. Carnelian is a stone of confidence, boldness, initiative, assertiveness, and vitality. Carnelian helps you feel anchored and comfortable with your surroundings. It improves motivation and is one of the best stones for healing fertility issues. 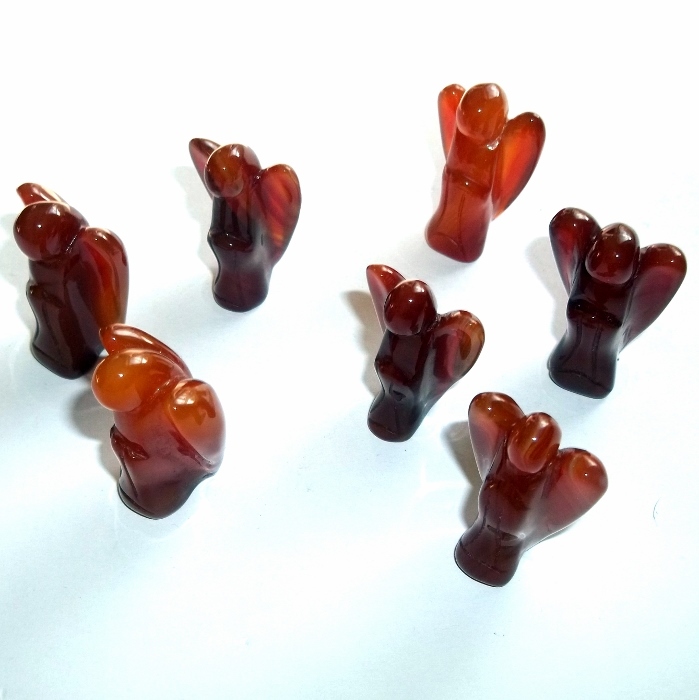 Pocket angels are 1 1/4 to 1 1/2 inches tall by 1 inch wide. Price is for one pocket angel. 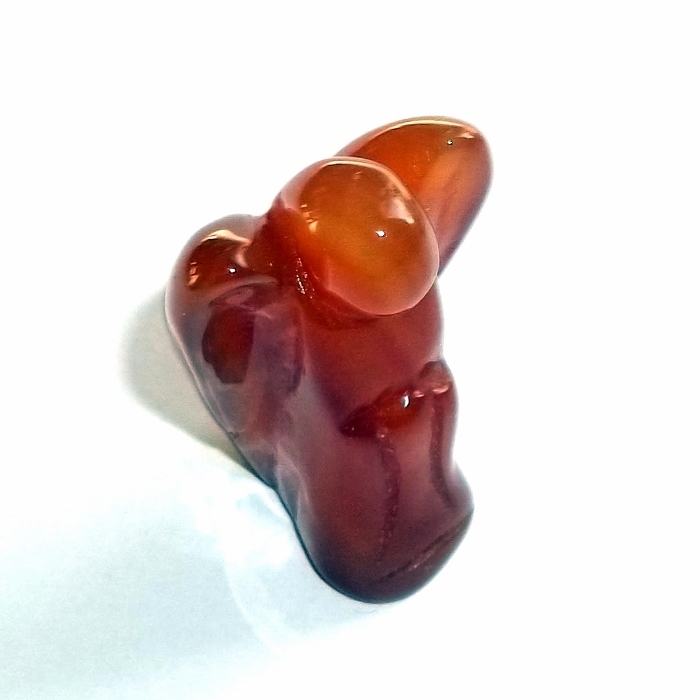 Carnelian color ranges from deep orange to a burnt orange red color.